WHA will provide Services to the Client and will facilitate the provision of professional services to the Client. Under the terms of this Agreement these services include, but not limited to, all services listed in the WHA Rates & Charges List. WHA will provide online portal access to the client to enable the coordination of appointments and bookings. The Client is responsible for providing WHA with Candidate details including: full name, mobile phone number and email address via the on-line portal. WHA will be responsible for making an appointment at a suitable facility and will communicate this appointment to the Candidate. The Client is responsible for providing WHA with Candidate details including: full name, mobile phone number, postcode, availability and email address. WHA will be responsible for making an appointment at a suitable facility and will communicate this appointment to the Candidate. The services set out in this Agreement are all of the services to be provided by WHA. Any further services requested by the Client may be provided on terms (including costs) as may be agreed between the parties. WHA Services incur Service Fees and Booking Fees. The client agrees to pay all Service Fees and Booking Fees in line with the WHA Rates & Charges List, to WHA. Unless otherwise agreed in writing, WHA will charge the Client the standard fees for the provision of each WHA Service provided, as may be applicable at that time. Unless otherwise stated, the Service Fee and Booking Fee are exclusive of GST. Unless otherwise agreed in writing, WHA will charge the Client fees for the provision of each Professional Service including Pathology related services provided. Unless otherwise stated, these Service Fees are exclusive of GST. WHA will issue the Client with a valid tax invoice for the Services provided (plus applicable GST). Where the Client requires a purchase order, reference number or similar, to be included on the invoice, the client is to advise WHA of that detail, at the time the Services are booked. The Client must pay WHA invoices within 14 days of the invoice date using the payment method advised by WHA. If the Client disputes any part of the invoice, the undisputed part must be paid within 14 days of the invoice date, and any disputed parts agreed or determined as due no more than 7 days after settlement of the dispute. 2.5.2 At any time, giving the Client no less than 30 days’ notice. Where Services cannot be provided as per the appointment time due to non-attendance of the candidate, WHA will charge a cancellation fee equal to 50% of the Service Fee, and where applicable, the full Booking Fee. 3.1.2 In relation to On-site Services, where notification of cancellation is provided less than one week before the Service Date, WHA will charge a cancellation fee equal to 60% of the Service Fee. 3.1.3 In relation to On-site services, where WHA is notified less than 1 week prior to the Service Date, that the volume of services will be reduced, WHA will charge a cancellation fee equal to 60% of the Service Fee for the volume of services that are being cancelled. 3.1.4 In the event an appointment is cancelled and rescheduled more than 24 hours outside the appointment time, the client will be charged a re-booking fee, as stated on WHA Rates & Charges List. 3.1.5 WHA reserves the right to waive any of the above charges based on circumstances. If services are cancelled by WHA, no additional fees will be applied. Before WHA provides the Client with credit, WHA may request information necessary for WHA to establish the creditworthiness of the Client. Any decision to provide credit, and the terms on which it is provided, is at the sole discretion of WHA. WHA may disclose any information provided by the client in the course of a credit application to a credit reporting agency. WHA may obtain personal or other information relating to the Client from a credit reporting agency, credit provider or other party for the purposes of assessing creditworthiness. If the Client does not pay Service Fees or any amounts due to WHA in accordance with this Agreement, WHA will pursue the payment of those debts. Where an external provider is engaged to recover any outstanding debt relevant to the Client, the Client will pay WHA’s costs, including (without limitation) administrative, legal and court fees. WHA may coordinate the delivery of Professional Services to the Client via the engagement of approved contractors. WHA and contractors are responsible for the Services provided to Clients, and WHA assumes no liability for those services. If Services (or any part of them) are performed at the Client’s premises or on sites controlled or managed by the Client, the Client must ensure that it complies with all applicable Workplace Health and Safety laws and standards necessary to ensure a safe work environment for WHA’s employees, Practitioners and other representatives. Neither party will be liable for any delay or failure to perform its obligations under this document as a result of a Force Majeure Event. The party affected by a Force Majeure Event must notify the other party as soon as practicable of any anticipated delay or impact on the delivery of the Services. The performance of the affected party’s obligations under this Agreement will be suspended for the period of the delay, and any deadlines will be extended accordingly. 8.1.3 The Client is insolvent, or in the reasonable opinion of WHA, is otherwise unable to pay its debts as they fall due. The Client may terminate this Agreement immediately on written notice to WHA if WHA has breached this Agreement and fails to remedy that breach within 21 days of receiving written notice from the Client to do so. This Agreement may be terminated at any time and without cause by either party giving 30 days’ written notice to the other party. 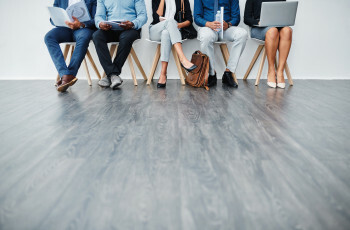 If a party terminates the Agreement in accordance with clause 8.3, neither party will be entitled to any compensation or damages from the other party in relation to that termination. Termination of this Agreement will not affect those provisions of the Agreement expressed to operate or have effect after that time and is without prejudice to any rights accrued by either party in respect of any breaches existing before termination. 9.1.3 Subject to clause 9.1.1, not disclose confidential information in respect of the other party to any third party without first obtaining the written consent of the other party. WHA may amend these terms and conditions by publishing an amended version of them on its website. The Client’s continued acceptance of Services will constitute acceptance of such changes. "Agreement" means the agreement between WHA and the Client set out in this document and, where a written proposal or service level agreement or similar has been issued to the Client by WHA, includes that document also. 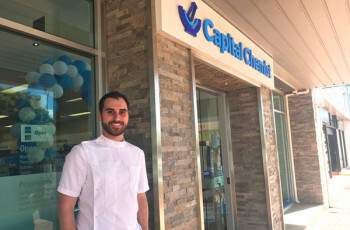 "Allied Health Practitioner" means the independent allied health care practitioners engaged by WHA to provide services to the Client from time to time. "Booking Fee" means the fees charged by WHA for the provision of Services, as reviewed from time-to-time in accordance with clause 2.5. "Candidate" means a person nominated for assessment by the Client. "Candidate Records" means the records of Candidates as part of the Services provided. "Client" means the entity to which the Services are provided under this Agreement. "Commencement Date" means the date on which Services are first provided to the Client under this Agreement. "Confidential Information" means any information relating to a party that is designated as, or would reasonably be considered to be, confidential in nature. "Contractors" are the engaged Professionals or any independently operated health care centres engaged by WHA, providing services to the Client. "Doctors" means the independent medical practitioners engaged by WHA to provide services to the Client from time to time. "Force Majeure Event" means any cause beyond the control of a party including (without limitation) strikes, industrial action, floods, fires, accident, earthquake, riot, explosion, war, hostility, acts of government, military, civil or regulatory authority, change in any law or regulation, disruption or interruption to the supply of communications, internet, power or other utility. "In-facility services" means services delivered at a WHA facility or at a Contractor’s facility. "Onsite services" means services delivered at a client’s premises, worksite, or other described workplace. "Professionals" means Doctors and Allied Health Practitioners (as applicable). "Professional Services" means those services provided to the Client by Doctors and Allied Health Practitioners and facilitated by WHA under this Agreement. "Services" means the WHA Services provided to the Client and the Professional Services provided to the candidate under this Agreement. "Service Fee" means the service fees charged by WHA for provision of Services, as reviewed from time-to-time in accordance with clause 2.5. 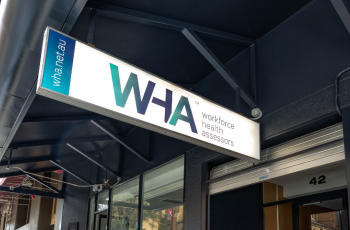 "WHA" means Workforce Health Assessors Pty Limited (ABN 45 094 392 588). "WHA Rates & Charges List" means the list issued by WHA containing all relevant fees and charges for services. © 2019 Workforce Health Assessors. All right reserved.